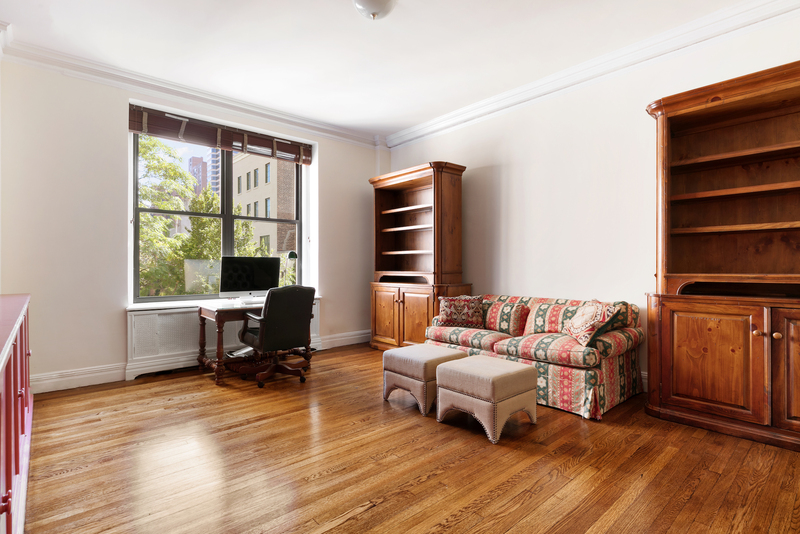 1155 Park Avenue in the heart of Carnegie Hill in New York City is a full-service, premier coop with a 24-hour doorman, private gym, basement storage and a bicycle room. The building is known for its graceful floorplans, high ceilings and pretty exposures. 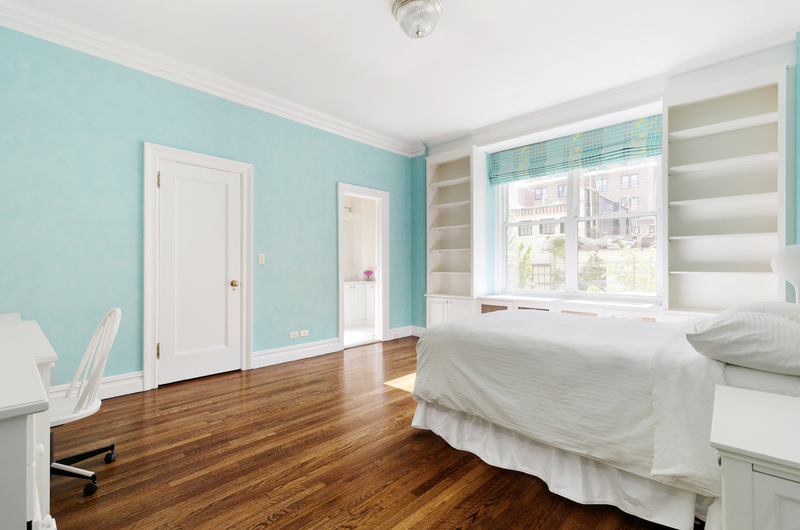 This high third floor 10 room apartment has big windows, beautiful original parquet flooring as well as charming views of Park Avenue’s famous tulip gardens, tree tops and The Brick Church. 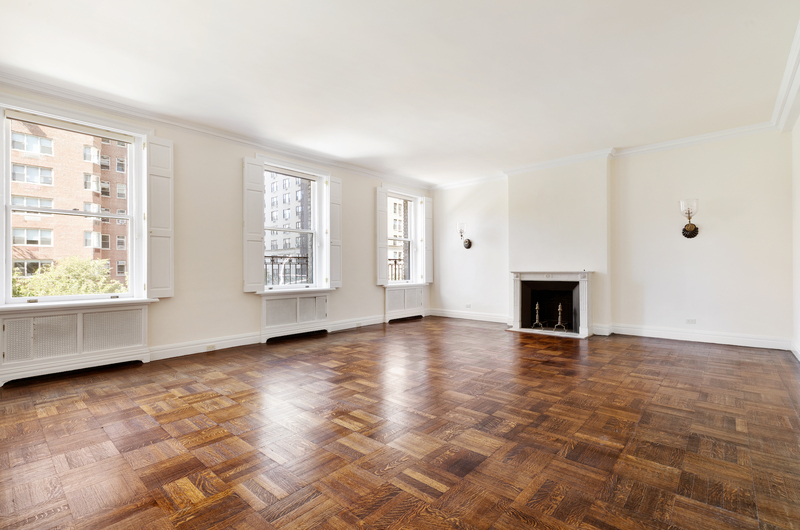 The beautifully proportioned living room, big enough for several seating areas, has three oversized windows facing Park Avenue. 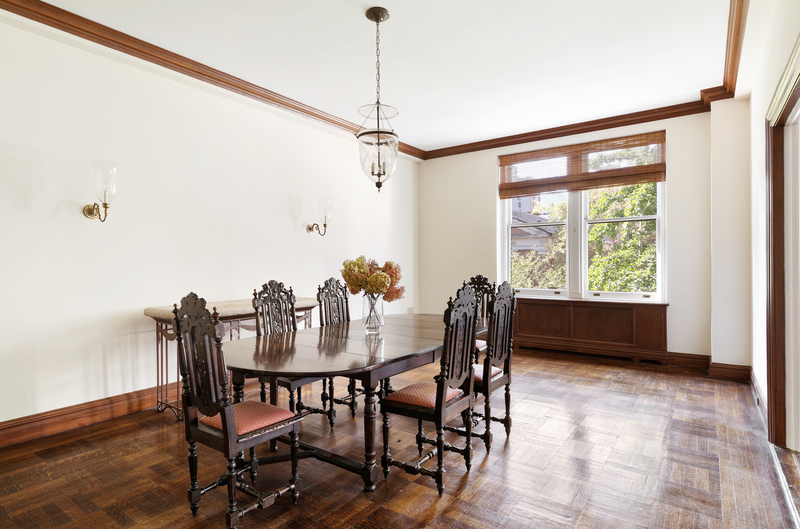 Also stretching along Park Avenue is a large and bright dining room. There is also a library, which can be used as a bedroom, as well as four additional bedrooms for a total of five bedrooms and 4.5 baths. All rooms have lovely exposures. The eat-in kitchen is fitted with a breakfast room and butler’s pantry. Located next to the kitchen is the windowed laundry room and a double-staff room with a bath. The staff room is adjacent to the main bedroom hallway and can easily be converted to an additional bedroom suite. The apartment has central air conditioning. 1155 Park Avenue is a white glove, full-service coop with 24-hour doorman service, a fitness center, a bike room and live-in super. This apartment is listed for $8.25 million with Stribling & Associates and is showcased by Luxury Portfolio.